The property in Handyside Street Tawa was the former Ranui Tennis Club and we have kept the name as an apt description 'abundant sunshine'. The property faces north-west, with views across to the sun setting in the western hills. The townhouses were architecturally designed by Solari Architects, each being approximately 100 sqm, 3 bedrooms, 1 ½ bathrooms, and car park. 3 unit types within the development, with a carefully considered layout to maximise sun, views, privacy, ease of access and outdoor space. 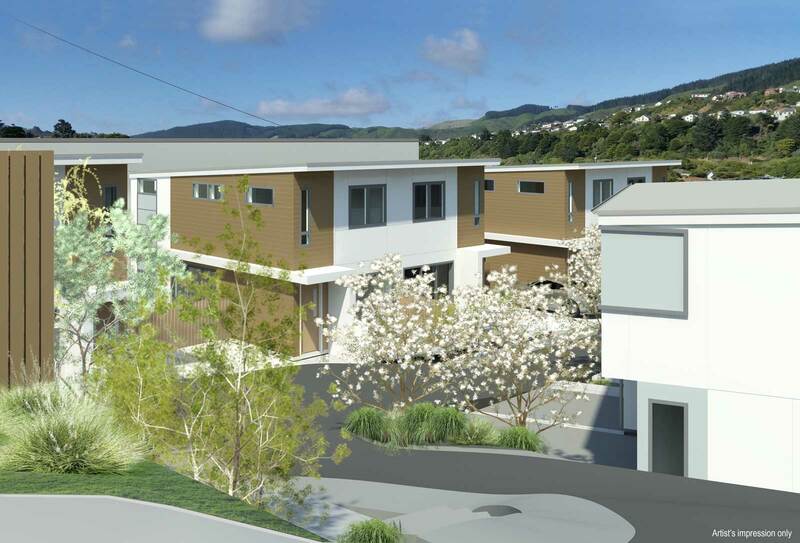 Pennylee is all about building quality designed small to medium scale residential developments in the Wellington region. We guarantee integrity, excellent design and value for money in all our projects. Our purpose is to create the home you will love living in.